NIA CHARLESTOWN NEVIS (JUNE 15, 2017) — Vehicle owners on Nevis are being urged to use the new roads on the island with caution. The advice came from Hon. Alexis Jeffers, Minister of Communication and Works in the Nevis Island Administration (NIA), while reporting on the progress of the Shaws Road Rehabilitation Project in Newcastle on June 14, 2017. 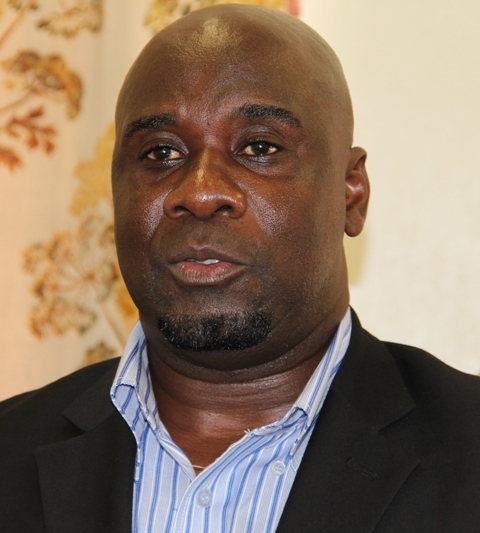 “Even though we are providing nice smooth comfortable surfaces throughout the island of Nevis, it is not an incentive or encouragement for persons to speed throughout the island and create any havoc or any unsafe conditions or situations. “I want persons to understand that these roads are being built, yes, for you to have a comfortable journey to whatever destination you are going to but it also is incumbent upon you, to be as careful and understand that there are other persons who are also using the road whether it is a pedestrian or another motorist that they would want to ensure that you are safe and they are safe,” he said. In a notice dated June 15, 2017, the Department said it would charge and prosecute drivers caught breeching the traffic laws in its effort to keep Nevis safe and secure. According to the Department, drivers of large trucks are driving much too fast on the roads when heavily loaded with aggregate (sand and stones) mixed concrete and other debris such as waste material for the landfill. “Drivers are reminded that the speed limit for those vehicles are 20 miles per hour in Charlestown and 40 miles per hour outside of Charlestown and they must exercise due caution and drive with care at all times.